The perfect spring glove. The G Tech Dry used a sophisticated Hipora® membrane make it waterproof yet breathable. This is ideal for ski mountaineering where you are in frequent contact with the snow while working hard. 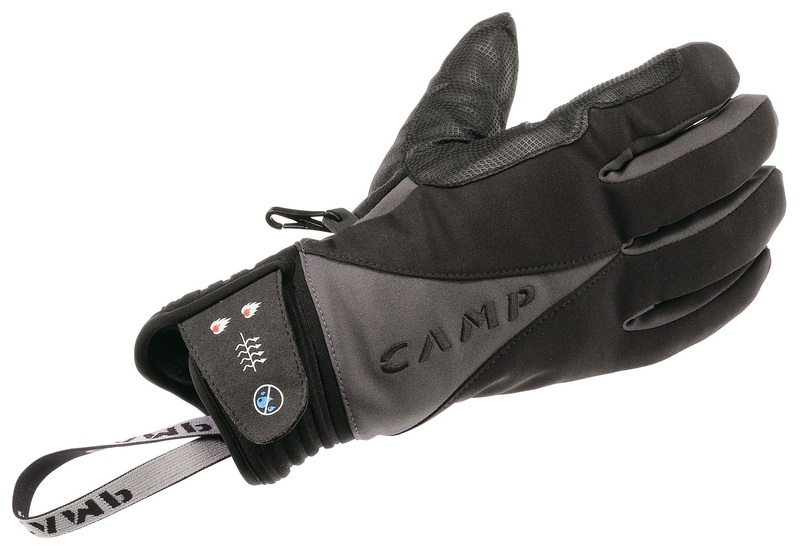 CAMP made the G Tech Dry with a flexible yet snug fit, and then added extra grippy pads on the palm, index finger, and thumb to give you ample dexterity while climbing or skiing. It's topped off with a terry wipe on the thumb for clearing snow or sweat. Hipora membrane is a 3-layer microporous coating designed to keep moisture moving one direction, out. Neoprene wristband has an velcro adjustable closure for a snug fit, while an elastic lanyard secures it to your wrist. Grip'R pads on the palm, thumb, and index finger add maximum grip where you need it. Reinforcements added between the thumb and forefinger to prevent wear from gripping a ski pole or ice axe. 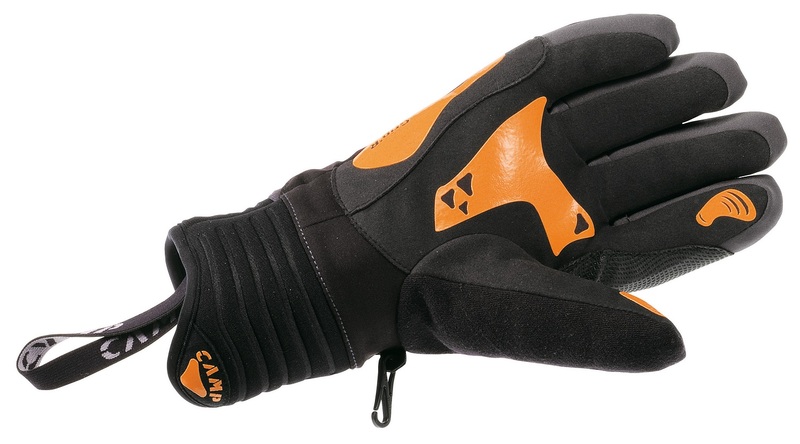 For a winter version of this glove, check out the G Hot Dry. I bought a pair of these with euros a few years back. I have about 45 days on them and figure that is enough time to give them a fair review. They will do what they are intended, which is spring climbing and skiing. The waterproof membrane is waterproof for sure, but lacks significant breathability. The keeper loops were funny...one completely detached itself and disappeared whilst out skiing one day...I didn't even know I was littering. The other keeper loop was cut off promptly the next morning before heading out. Likewise, the orange palm silicone grips are great for gripping tools and ski poles but they also detach themselves after a couple dozen days of use. The faux suede palm areas will slowly wear out and show the waterproof membrane through the wear hole. But, do be fair, the holes grow slowly and do NOT explode open like some cheap faux suede fabrics. Lastly, the terry nosewipe fabric on the thumb collects snow when booting up steep spring couloirs, but what else do you expect man, pull yourself up and quit grovelling.